The validity of taxonomical categories in parthenogenic groups is discussed. 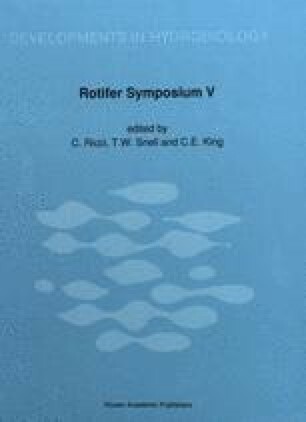 Special problems of rotifer taxonomy are caused by: facultative or obligatory parthenogenic reproduction, high morphological and genetic variability and paucity of morphological characteristics. Examples of these problems are provided by the Filinia terminalis-longiseta group. The different ecological properties of various populations belonging to this group are emphasized. Suggestions concerning the creation of new taxa are made; in particular, the importance of using ecological data is stressed.